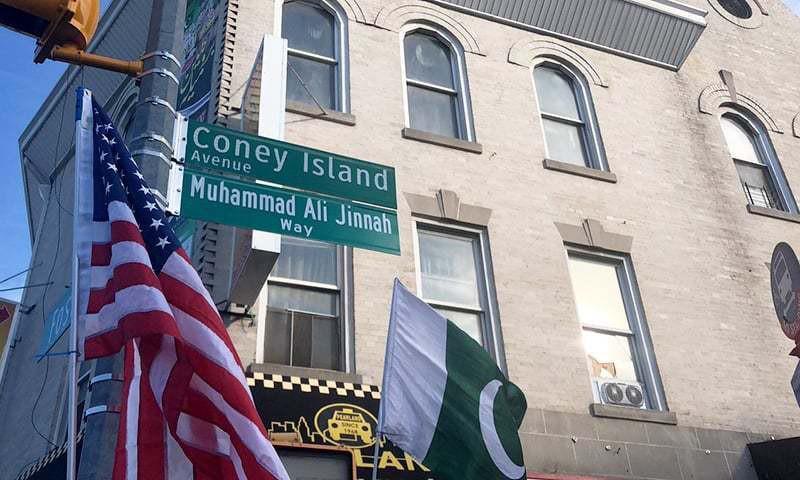 Dubai: One dream of Pakistanis living in New York came true after a famous road on Coney Island, Brooklyn, was named after Mohammad Ali Jinnah, the founding father of Pakistan. Amid slogans of ‘Pakistan Zinadabad (long live Pakistan)’, the ceremony was held on Friday to rename Coney Island Avenue. It has become the “Muhammad Ali Jinnah Way”. “One day, we hope the Coney Island which is known as little Pakistan will actually be renamed ‘Little Pakistan’ due to heavy concentration of Pakistani[s] living in the area,” said Mohsin Zaheer, a Pakistani journalist who lives in the neighbourhood. He told Gulf News while over the phone that Coney Island has been a favourite destination for Pakistani immigrants since the ’80s. The area is informally known as “Little Pakistan” among residents because it hosts a large number of Pakistani restaurants and shops while Urdu and various regional languages from Pakistan including Punjabi are widely spoken here. I visited Coney Island in 2010 on a family holiday in the US and ate ‘chicken karachi’ at a Pakistani restaurant on the same street. The street is full of shops selling Pakistani products including garments, sweets, groceries and even butcher shops selling Halal meat. You can get any delicacies from Pakistan including fruit chat, samosas, jalebis and gulab jamuns here. According to Pakistan’s official news agency, the decision to rename the stretch of Coney Island Avenue where the Pakistani community is concentrated was taken on December 26 last year when the New York City Council adopted a resolution to honour the founder of Pakistan, Quaid-e-Azam Muhammad Ali Jinnah. The move was the result of years of hard work and lobbying effort by the Pakistani community, especially the Pakistani-American Youth Organisation (PAYO). 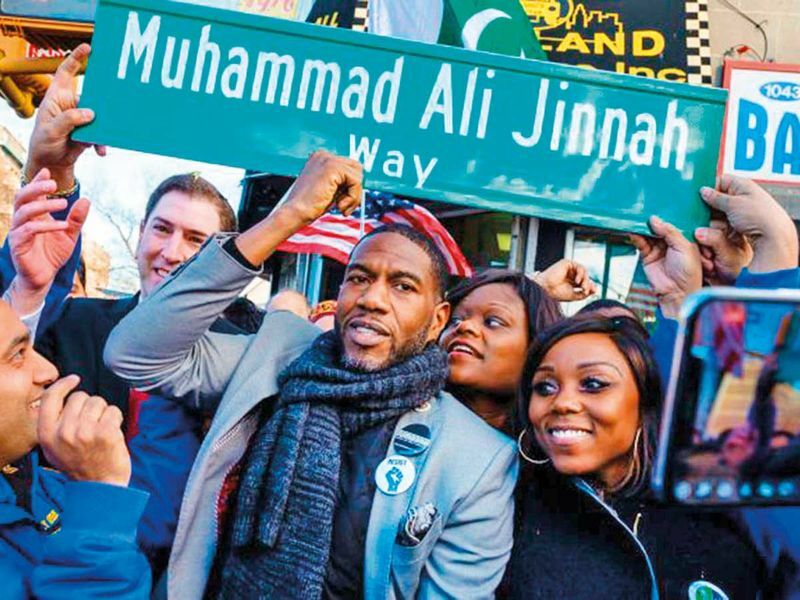 The resolution was successfully piloted by Jumaane Williams, a city council member, who on Friday unveiled the road sign. Multi-coloured confetti made an appearance in the celebration, and Pakistani-Americans, carrying Pakistan’s flags, burst into cheers and chanted slogans. PAYO President Waqil Ahmad thanked Williams and other city council members for their efforts in realising their dream of having “Muhammad Ali Jinnah Way” in the area. “When the kids see the sign they will be proud to explain he is the founder of Pakistan. It is a gift to the Pakistani-American community here as well as to the people of Pakistan,” he added. Williams, the city council member, said it was an honour for him to serve the Pakistani community and to inaugurate the newly-named avenue.